At sixteen, Molly is a girl who’s just started living—at last she’s popular. But for a girl who has everything, Molly feels like she never has enough. So she steals. At least there’s plenty of time to fix this last little problem. Except Fate has other plans for Molly. Like death. Suddenly dead and in denial, how can Molly move on when life was just looking up? Can she abandon her earthly ties or will she jeopardize her soul to stay close to her loved ones? 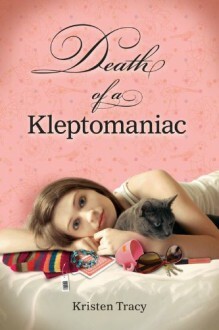 From critically acclaimed author Kristen Tracy, Death of a Kleptomaniac is the heartfelt story of one girl’s search for redemption, a family’s encounter with grief, and love’s power to rise above even the most final of boundaries.